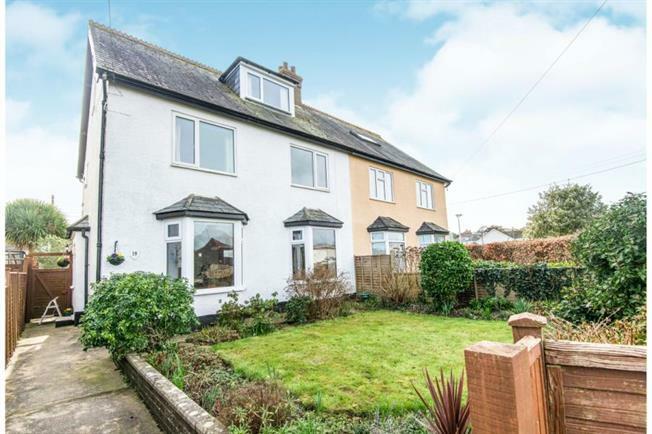 Semi Detached House For Sale in Seaton for £290,000. This delightful 4 bedroom double fronted semi detached house is set out over 3 floors in a fantastic location opposite the cricket pitch in Seaton. Just a short walk to the shops and pebbled beach. This family home benefits from an enclosed front garden, 3 double bedrooms, 1 single bedroom, Hallway, Kitchen / breakfast room utility area, downstairs cloakroom, sitting room with bay window & dining room. Ample storage throughout. To the rear is an enclosed easily maintained garden and parking for 2 vehicles.